Let's look at 10 unbelievable facts about Hollywood movies/celebrities you probably wouldn't have heard! 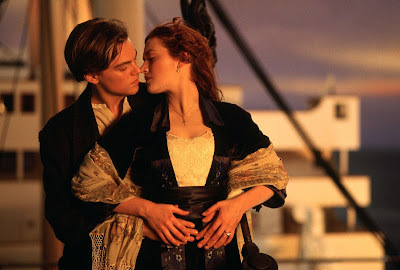 James Cameron's Titanic which won as many as 11 Oscars became the first movie in history to have two actresses nominated for playing same character. While Kate Winslet who played the younger version of Rose DeWitt Bukater was nominated for Best Actress in a Leading Role, the 87 year old Gloria Stuart who played the older version of the character was nominated for Best Actress in a Supporting Role. 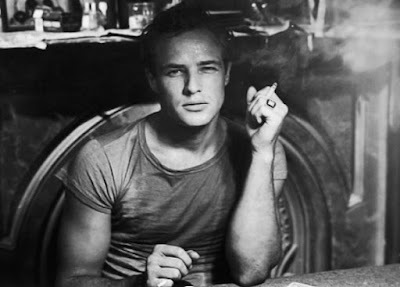 Marlon Brando's signature was considered to be such great value to collectors that many of the personal cheques he wrote were never cashed, for his signature carried more worth than the amount on the cheque. It is well known throughout the world that Steven Spielberg idolized the Master of Suspense. But, he could never meet him in person despite trying really hard for it. As a matter of fact, Hitchcock asked a crew member to remove the curious young man who would hover around the set of Family Plot, the last movie directed by the legendary filmmaker. The reason for Hitchcock's unwillingness to meet Spielberg was only revealed much later when actor Bruce Dern released his autobiography. When Dern, who appeared in two of his films, had tried to convince Hitchcock to meet Spielberg, here is what Hitchcock had told him: "I'm the voice of the Jaws theme park. They paid me a million dollars. And I took it and I did it. I'm such a whore. I can't sit down and talk to the boy who did the fish movie... I couldn't even touch his hand." 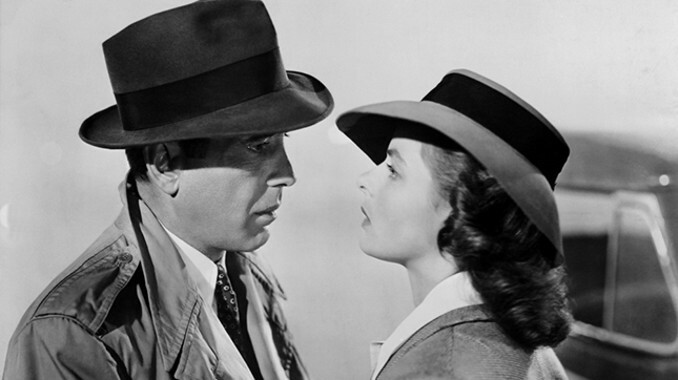 Casablanca's screenplay often gets described as the best screenplay ever written. In 1982, 41 years after Casablanca's release, a freelance writer named Chuck Ross submitted the script of Casablanca under its original title "Everybody Comes to Rick's" to 217 agencies. Ross was basically conducting an experiment whether the contemporary agencies in Hollywood would be able to recognize the film or at least be able to appreciate its great writing? The results were astonishingto say the least. Majority of those agencies who actually claimed to have read the submitted script not only failed to recognize it but also did not think it to be good enough to be made into a movie. In the year 1975, Charles Chaplin himself entered a Charles Chaplin look-alike contest in France and came third. 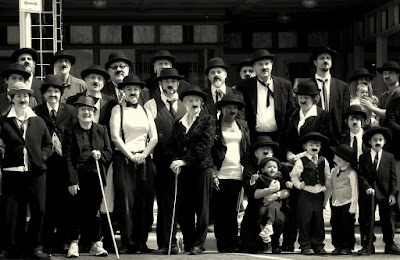 It is speculated that judged were actually foxed by Chaplin's blue eyes which obviously couldn't be noticed in the black and white films of Chaplin. 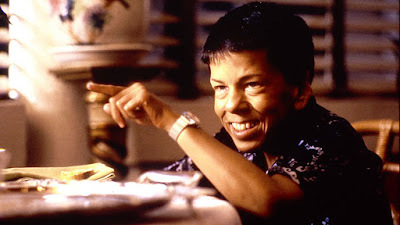 Actress Linda Hunt became the first performer to win an Oscar for portraying a character of the opposite gender. She is also the only actress ever to win an Oscar for playing a man without any gender related ambiguities or cross dressing involved. While studying together at Pasadena Playhouse, Gene Hackman and Dustin Hoffman were voted "Least likely to succeed". 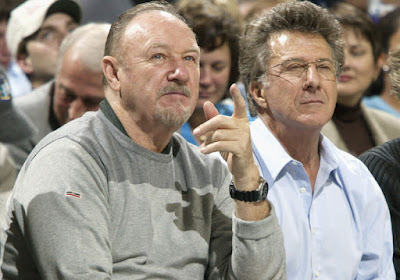 Since then Hackman and Hoffman have not only managed to carve successful film careers but have also won 2 Academy Awards each. The Coens feature among Hollywood's most successful filmmakers. But few people are aware they also edit their own films under the alias Roderick Jayne. 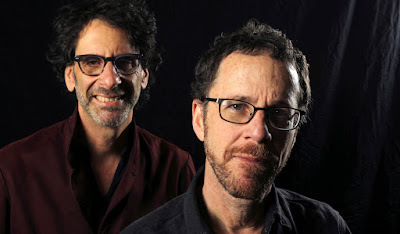 Together they have 4 Oscar nominations for Editing. During his struggling days in the early '70s Harrison Ford got so disappointed with the kind of roles he was getting that he decided to take a break from acting and instead worked as a professional carpenter to provide for his young family. His clients included the famous rock band The Doors, actress Sally Kellerman and Brazilian musician Sérgio Mendes. 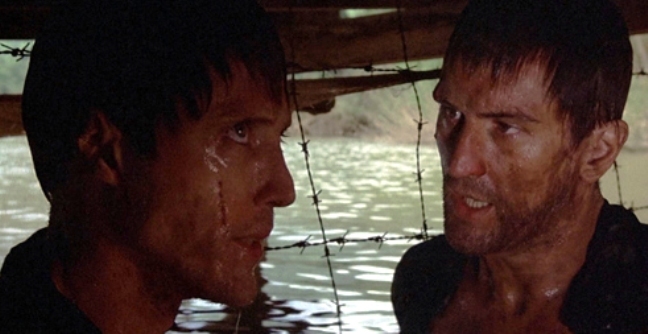 Michael Cimino-directed 1978 American war epic The Deer Hunter has a famous scene wherein Christopher Walken's character spits in the face of the character played by Robert De Niro. Actually, it was Cimino who had convinced Walken to actually spit in De Niro's face in order to elicit a genuine reaction of shock. De Niro was furious and left the scene in high dudgeon.